Recently I attended a fashion seminar where the head of one of India’s biggest retail company stated that online shopping and e-commerce is the future of retail industry. And right he is! In many ways online shopping and e-commerce websites have made shopping accessible and very easy. Gone the days where you could not get a certain product or brand due to lack of availability in your city/country. Now with just a few clicks, products of all kinds and from all over the country/world are directly delivered at your door steps. The reality is, with so many shopping and e-commerce websites cropping up everyday, only the ones with great products, service and overall experience will be able to last in this competitive market. In my constant search for discovering new online shopping haven, an up and coming fashion and lifestyle website name LimeRoad caught my attention. From its catchy name to its well-curated range of products and interactive features, LimeRoad in many ways is redefining the online shopping experience in India. Your Road To Trendy Fashion and Lifestyle Discovery: Pretty much ever other day an online shopping site comes along. While some may last, most of them eventually fizzle out. The reason why LimeRoad stood out among its competitors is because I found it to be an extremely well curated website. The variety of products available on LimeRoad gives it an edge over other websites. Most of their products are exclusive pieces and not something that you will easily see on 10 different sites too. LimeRoad products are carefully chosen keeping the current trends as well as the needs of its clients in mind. Overall LimeRoad offers a fine balance of popular as well as undiscovered up-coming brands to choose from. 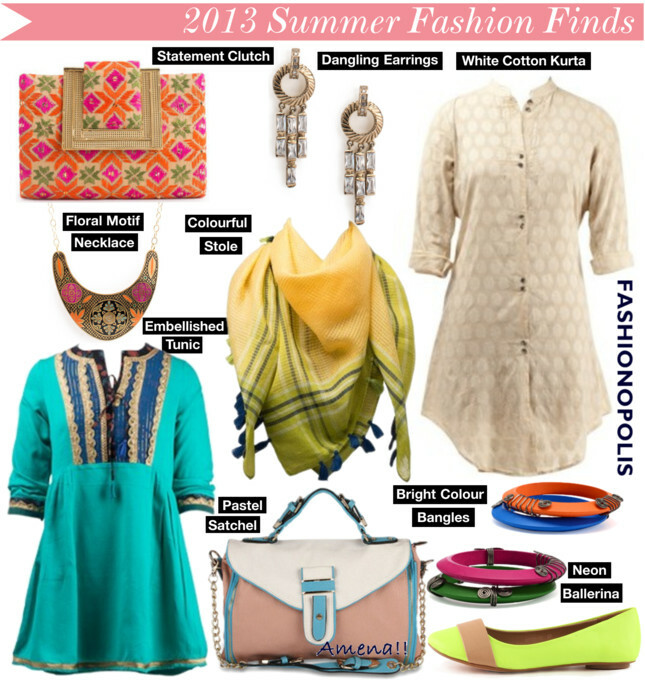 To give you a better idea about LimeRoad products, here is a list of some of my favourite 2013 summer fashion finds from LimeRoad. Shopping Guide: The ‘Magazine’ feature of LimeRoad is its very own shopping guide that helps you discover stylish products from different brands and locations. Not only is it well-planned and helpful but the ‘Magazine’ feature makes LimeRoad standout among other website. Depending on what you are looking for it helps you narrow your search down to specifics. Whether you want to shop things based on a specific theme or colour story or do you wish to shop a particular brand or are you looking for products available in a particular city, it guides you in the right direction. This is a very helpful tool if someone is looking for a precise product/brand/location. It saves time and helps you find exactly what you are looking for. Collage-ing Your Style: Anyone who knows me knows I am a fashion collage junkie. The real reason why I fell in love with LimeRoad is because of its innovative, forward-thinking collage making concept called ‘Scrapbook’. Scrapbook allows you to create fashion collages with your favorite products. The beauty of collage-making aka ‘Scrapbooking’ is, it makes the experience a whole lot more fun and interactive. This way you get to shop and show-off your creativity and styling skills. Hands-down one of the smartest moves made by any Indian e-commerce/online shopping website. Check out my Scrapbook to have a better idea about LimeRoad's collage-making experience. Like me if you love creating fashion collages, have a passion for style and enjoy curating looks, here's your chance to be a part of LimeRoad Style Council and participate in LimeRoad’s styling challenge. 2) Create 1 scrapbook look a day for a month and share it around to create your own fan following. 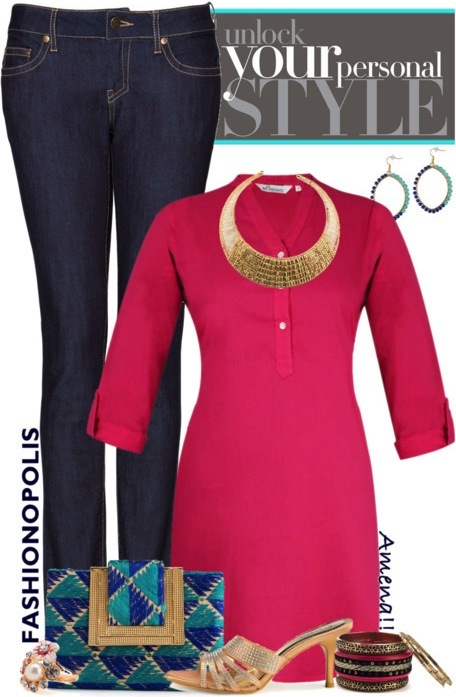 3) For this fun and easy styling challenge, at the end of the month you get to shop on LimeRoad for Rs.2500! Write to connect@limeroad.com for further details. If you are looking for a fun way to shop and well and flaunt your style, LimeRoad is the perfect destination for you. What did you think of LimeRoad and which feature are you most excited about? Share your views with in the comment section. I love LimeRoad for their exclusive collections. Will be ordering from them soon! Hey, I really liked your blog.Love this collection! Amazing..
You have captured everything very well..
superb collection!! Really Love your blog. Thumbs up for this blog! :) Maybe we could follow each other on Bloglovin and/or GFC? what i really want to know is what is the experience after one had ordered the product and it arrives..the fast shipping?? the packaging and the quality of the product as seen on screen...that for me is the true measure of a good online shopping website!! but yeah glad to know the cool features too!! Good blog post on this new website for online shopping. Limeroad is one of the best online retail shop which provides women products online with discount, and use of Limeroad coupons reduces the total bill by considerable amount.